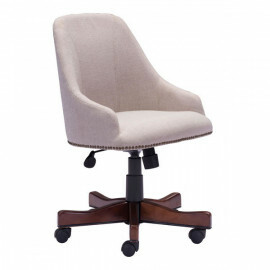 The Maximus Office chair has an elegant design with an upholstered high back and plush seat; in a soft polyblend fabric. 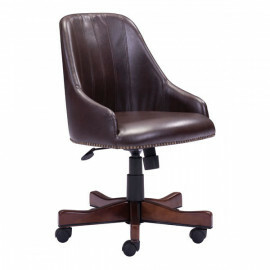 Accented with vintage nailhead details and solid wood and metal base; perfect for any executive's desk or masculine study. The new standard whether in homes or professional offices.